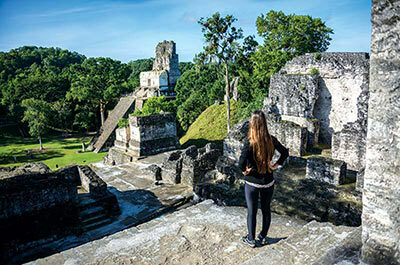 Guatemala & Mexico | Guatemala Vacation Package | Escorted Tours Panama | Peru Vacation Deals | Gate 1 Travel - More of the World For Less! 9 Day Colonial Mexico Book By Sep 26, 2019 & Save! The trip was great with only 16 people in the group. The tour director Tony was very knowledgeable and gave us a lot of information on Mayan civilization. Also the tour guide in Copan, Honduras was very good. We were lucky with weather and accommodation was good. Overall we like the tour and would recommend our friends and relatives to take this trip with Gate 1. We had a wonderful trip to Mexico. We have taken about 10 Gate 1 tours and liked them all. Our tour manager, Douglas, made this trip special. He is knowledgeable and careful with details to make sure that all of us were pleased. He has a great personality and went out of his way to get to know all of us on the tour, providing us with little extras to make us feel welcome and valued. I can't say enough to praise Douglas. He is a real asset to Gate 1, which he praises regularly, telling us about his training and how Gate 1 goes to great lengths to make sure the meals and accommodations are the best possible. I want to mention Panchito, our bus driver, also. He is a cheerful person and a highly skilled bus driver. We were all impressed by how he was able to maneuver the bus in tight quarters and keep us all safe. The trip was great. Very impressive of the boat ride at Marina San Carlos, and the train ride from El Fuerte to Posada Barrancas and the two day visit at the Copper Canyon. 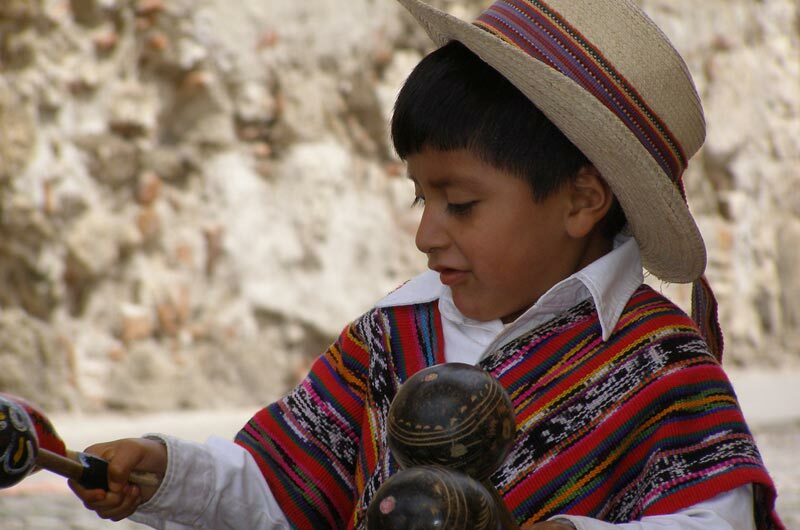 I learned a lot of Tarahumaras people and their community. The Mexican food was very tasty. It was a very good trip arrangement. Thanks again to Gate 1 for providing high quality, and affordable trips. I really enjoyed it. The trip was wonderful. We were so fortunate to have Raul, the perfect guide! He obviously was so pleased to know we were enjoying ourselves, and we could totally depend on him to look after us. Very sincere, so knowledgeable. I’ve been to Mexico many times, but this was the first time I experienced the range of socioeconomic citizens and learned so much about the history of the country. This trip was fabulous. I'm really thankful for Gate 1 for providing such an interesting journey. The trip was GREAT. The tour guide "Tony" was very knowledgeable and really cared about us. We had a good group of people. The hotels, food, sightseeing was all wonderful. Our guide Tony was wonderful and knowledgeable. Tony explained the history of each and every place we visited and was able to answer everyone's questions and concerns. I thought the hotels chosen were the best and the restaurants were excellent. Restaurant service was excellent and the food was delicious. 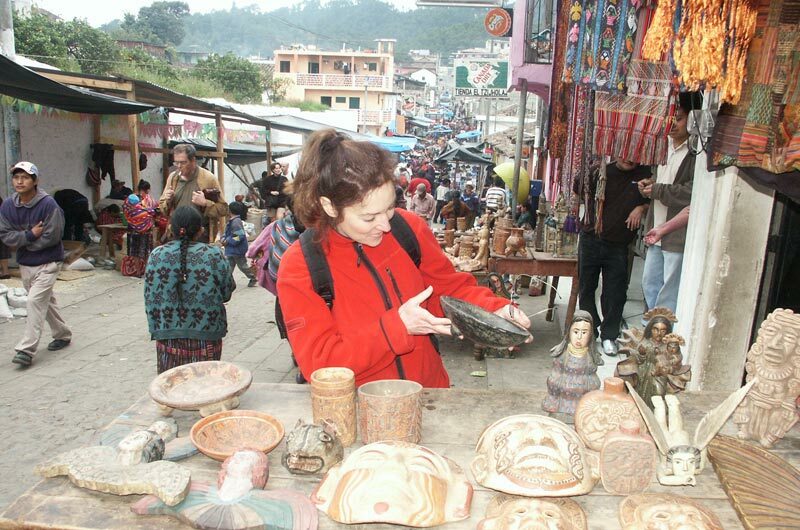 Guatemala-Honduras were never on my bucket list. I am very happy I chose to visit there. I made a great choice. Thank you Gate 1 for another great tour! Colonial Mexico was my 31st trip with Gate 1 and I always love it when a trip exceeds expectations in every way, as this one did! I knew little about Mexico outside of a visit to Cancun and Mexico City, and this exploration of its Colonial Cities was marvelous. Everything started with having a superb tour manager, Bacho, who was personable, extremely kind, knowledgeable, funny and so organized. He was always there for us, whether it be having Pesos for bathroom stops or treating us to candy or prizes for quizzes, and even organizing a special double decker bus tour of Guadalajara, plus so much else - he is one of the very best! Our driver Aurelio was also skilled and safe and very pleasant. The itinerary was perfectly timed, with the right balance between time spent on walking tours of the cities and free time to explore. The hotels were all really lovely and well situated. The restaurants we went to for group meals were uniformly excellent. The dinner at the #1 restaurant in Morelia - San Miguelito was fantastic, as was the farewell dinner at El Sacromonte in Guadalajara. My personal favorite cities were the stops in Queretaro and Guanajuato and favorite city that we stayed in Morelia - I loved it so much that I am looking at spending a week at a language school there later this year! Can't say enough good things about this trip - safe, fun, interesting, cultural and very highly recommended. Thank you again! We had the best time...The tour guide Edel was very knowledgeable, friendly, helpful and overall a great guy...The bus driver Panchito as well was a real professional..We felt very safe traveling through Mexico with him as our driver...Visiting the Copper Canyon is truly a highlight of this vacation..We made new friends, enjoyed the food we ate and took lots of pictures to enhance our memories of this fabulous trip...Thank you for making this excursion possible Gate 1! The trip to the Copper Canyon was wonderful. The trip by bus showed us an extensive area of Sonora and Chihuahua. The vast canyon was beautiful to see in the varying light from morning to evening. The train ride from El Fuerte to Posada Barrancas was spectacular with the mountains and changing vegetation as we climbed higher. Douglas was an excellent tour leader. On the long bus rides, he told us about the economies of the states, the history of the areas and the history of Mexico ..... He kept us informed about the daily schedules and helped to make sure that everyone was having a good time. We had a fantastic trip, the tour included very beautiful cities in Mexico and our tour manager, Ivan, was excellent. I would definitely recommend this trip. Very nice! We had a good time and learned a lot about Mayan civilization. Our tour guide Sergio was very knowledgeable and friendly. 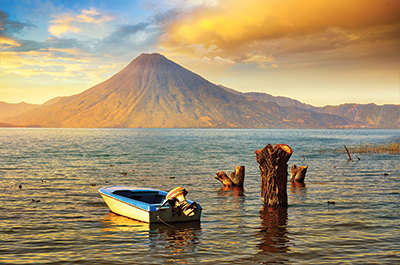 The size of 16 people was ideal for visiting Guatemala. The trip was great! The combination of a plush hotel and a historic one was was special. I learned so much on the excursions. The guide, Sergio Garcia was really special. He greeted us with a welcoming smile that one would expect from a close friend or special family member, and he was especially helpful with our problems. The trip was fantastic! Sergio was awesome, the sites were everything I've read about in books, and the logistics were spot on as usual. My sister and I enjoyed everything we saw especially Tikal and Lake Atitlan. 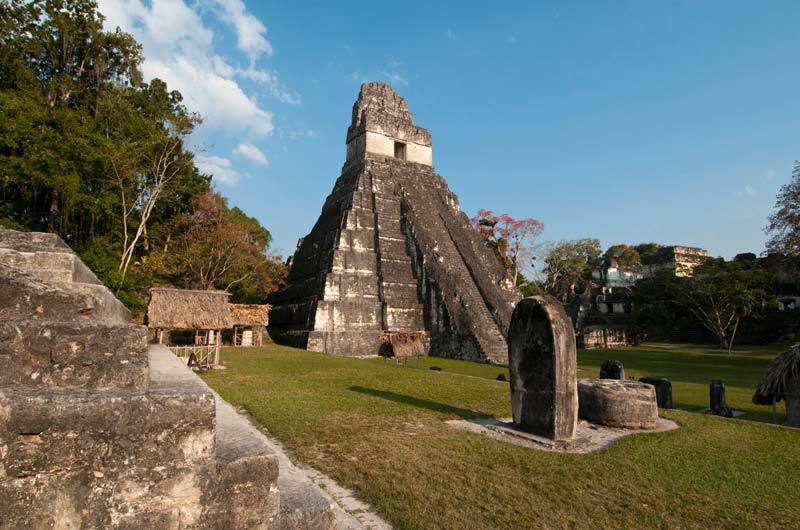 The Guatemalan people were warm and we truly felt their love for the Mayan heritage and history. Another great trip! Why we always go with Gate 1. It was absolutely incredible. It's a trip I have wanted to take for decades and glad I never made it until Gate 1 offered this tour. I always expect good tours from when I travel with you but this one really exceeded our expectations. The activities and programs were educational as well as just plain enjoyable. Our guide Edel and driver were excellent. Thanks for offering such fantastic tours. The Copper Canyon trip was very rewarding. During the trip our guide Juan kept us informed about history, geography, culture, and the many birds and plants we saw during the bus rides. The restaurants were very clean and the food was delicious. Hotels were the best and had great views. Juan made sure we had a wonderful trip. I had a wonderful time during my trip. It was sunny most of the time, Accommodations were very good and our tour manager Estuardo was excellent. We had equal time of touring and time to explore on our own or just to rest. We had a great time in Guatemala! It’s a beautiful country. We felt very safe. Our guide, Marco Antonio Garrido, is one of the best, very knowledgeable and with a very good sense of humor. We learned a lot about the history of the country in such a short trip. Thank you Gate 1 for this awesome experience! Excellent! Great tour director/guide and very good driver. Interesting venues, and unique accommodations. Good food. We had a wonderful time. And we had a good group of interesting and nice people with us. It was great. Most comprehensive tour yet. Informational videos, meals. Locations for meals. Quality of Hotels. Bay tour in San Carlos. Pearl hatchery. The menonite museum visit and lunch The tour guide was outstanding. He went above and beyond Best tour yet. I highly recommend it. Our trip was wonderful! My wife and I enjoyed every aspect of our journey, from the excellent service provided by our guide Juan to the great food and spectacular sights we visited along the way. We had a large and greatly diversified group that made for great conversation. We especially enjoyed our visit to the boarding school and mixing with the children. Your dedication to helping local people should be commended. Again, great trip and looking forward to our next Gate 1 tour in June. Excellent. Accommodations, tours, pacing were fine. Carlos, the guide, was very good in terms of information, friendliness, helpfulness, and the dispensing of needed information at the right time. Good planning, Gate 1. The trip was excellent. Our tour guide Sergio could not have done more for us. All in all, we will recommend the trip to our friends. It was a great trip. The guide, Tony, was wonderful. Drivers were safe and professional. Tony was very helpful, knowledgeable and very precise in all his instructions. I had been to Guatemala before with a group...but I learned so much more about the country on this trip. We had an amazing time. 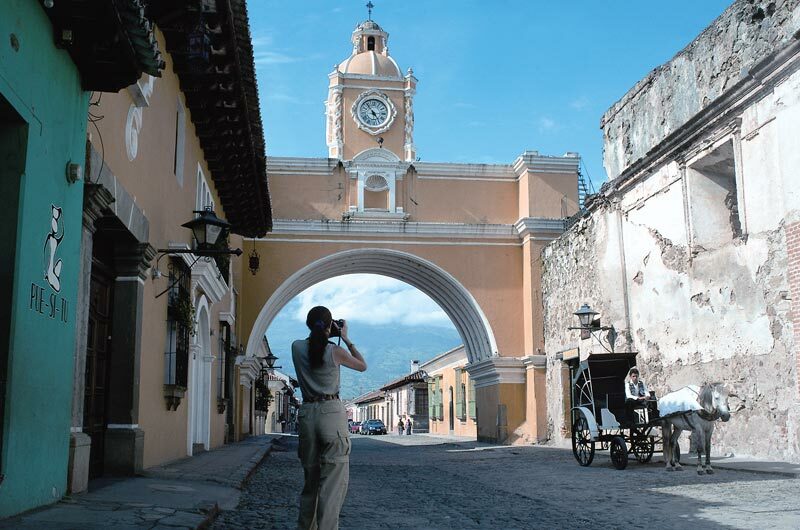 Guatemala is a beautiful country with so much rich history. Our tour guide Estuardo was amazingly knowledgeable. Thank you Gate 1 for another successful fabulous vacation!